Women need to believe in themselves again. In the late 1960’s to the 1980’s we saw women embracing their own self-worth and capabilities with strong confidence. They didn’t need to be perfect but they wanted to make things happen and they did. But then what happened? For the past 15 – 20 years, we have steadily seen women fall off their career growth and success. Yes, we know there are major societal and cultural barriers to women here in our country but there is something more subtle going on. Women become their own worst critics. These highly educated, capable young women start falling behind at almost every turning point in their career paths. That inner voice of self-doubt becomes louder and they begin turning down opportunities to advance saying to themselves “I’m not good enough, qualified enough, and smart enough or the time just isn’t right”. Interestingly, we don’t see the young men saying that at all – they tell themselves “I’ll learn it as I go”. The result . . . they move ahead and advance quickly. This disturbing trend has been well documented but has received little serious attention by human resource professionals or the leaders of growing organizations – all who are now scrambling to recruit and retain top talent especially among the millennial generation. What can we do? Here are three actions that HR departments and company leaders can take. 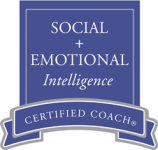 Teach coaching skills to all managers/supervisors. This is just a short list – there is so much more that we all need to do to stop this talent drain. Let’s help these young women grow their self-confidence so they can step up to critical leadership positions in their professional work and in their communities. We need them! Lean In for Graduates: Because the World Needs You to Change It, by Sheryl Sandberg, Random House, 2014. I have been a fan of Sheryl Sandberg, COO of Facebook, author and lecturer, for years now. Her original book, Lean In: Women, Work and the Will to Lead, provides the foundational curriculum for our three Lean In Circles for young professional women here in Northern Nevada. Sandberg’s newest edition of her book specifically speaks to recent graduates entering today’s highly competitive and fast-moving workforce. Sandberg speaks for all of us women – she is truly inspirational. The results were fascinating because, with no prompts or categories to choose from, the respondents overwhelmingly identified the same four characteristics of the leaders they choose to follow in their work, personal and community lives. These were: Trust, Compassion, Stability and Hope. I found myself wondering how we feel we meet these characteristics. Here are some questions to ask ourselves. Trust: Do others see me as honest? Having integrity? Being ethical? Compassion: Do I show that I care? Am I empathetic and aware of other people’s needs? Stability: Do I lead from a solid foundation of values and strength? Can I move through change? Hope: Am I realistically optimistic and able to provide positive guidance for the future? What are your thoughts? How do you rate yourself? How would others rate you? We all may need to take our leadership skills up to that next level and embrace these qualities more on a daily basis. I’m sure we will see powerful results! Strengths Based Leadership: Great Leaders, Teams, and Why People Follow, by Tom Rath & Barry Conchie, Gallup Press, New York, NY, 2008. This is one of the best books I’ve recently read on leadership. Acknowledging and appreciating our strengths as professionals is a continual thread in my work with leaders at all levels. In one portion of the book, Rath and Conchie have summarized the extensive research by Gallup to help us understand the three ways to being a more effective leader: knowing our own strengths and investing in others’ strengths at the same time; strategically building a strengths based team; and finally, knowing why any of us work and follow a leader that we trust and who encourages us to work at our best. This is such a good book that I’m going to preview another chapter next month – so pick it up for yourself and your team. Be honest with yourself – what is the “why” you are committing to this new behavior, especially when the success of this new habit will positively affect someone you care about. Identify what will be the specific “clue” or situation that will prompt your new behavior. Make your new behavior very simple and very short – no longer than 60 seconds to complete. Repeat the new behavior over and over and over until it becomes “second nature”. Acknowledge your successes everyday even when they might not have been “perfect”. What would you add to this list? What works well for you? What can get in the way of your good intentions and how do you deal with those saboteurs? Let me know your ideas!